In 1753, Pinckney’s father moved the family to London, England, to serve as South Carolina’s agent (essentially as a lobbyist to protect South Carolina’s commercial and political interests). Charles and Thomas were enrolled in the Westminster School there, and they remained after the rest of the family returned to South Carolina in 1758. Charles graduated from Oxford with degrees in science and law and continued to study law at the prestigious Middle Temple. Pinckney was passed the bar in 1769, but studied botany and chemistry in France for another year. Returning to South Carolina in 1769 after an absence of sixteen years, Pinckney quickly threw himself into the commercial and political life of the colony, and practiced law in Charleston. He joined the socially elite 1st Regiment of South Carolina militia, which promptly elected him as lieutenant. He maintained close ties with England and actively participated in the Royal colonial government. In 1770 he won a seat for the first time in the state legislature, and in 1773 he served briefly as a regional attorney general. Sarah married Charles Cotesworth Pinckney on September 28, 1773. They had four children: Harriott, Henrietta, Charles Jr. and Eliza. 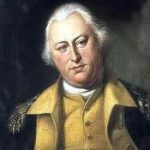 Despite his close ties to the mother country, when war erupted in 1775, Pinckney who had been a royal militia officer since 1769, supported the Patriots. This placed him among a small group of wealthy and powerful Southerners who risked everything in defense of their state and the rights of its citizens. In 1775 he was a member of the first provincial congress, which helped South Carolina transition from a British colony to an independent state. He played an important role in the committees that organized the state’s military defenses, and soon volunteered as a full-time regular officer in the first Continental Army unit organized in his state. As a senior company commander, Pinckney raised and led the elite Grenadiers of the 1st South Carolina Regiment. He participated in the successful defense of Charleston in June 1776, when British forces under General Sir Henry Clinton staged an amphibious attack on the town. Following the successful repulse of Clinton’s forces in 1776, the British Army concentrated on operations in the Northern and Mid-Atlantic states. Dissatisfied with his inaction, Pinckney traveled north to join near Philadelphia. He arrived in 1777, just in time to participate in the Battles of Brandywine and Germantown. Pinckney’s time on Washington’s staff was especially significant to his development as a national leader after the war. 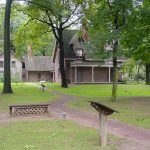 It allowed him to associate with key officers of the Continental Army, men like Alexander Hamilton and James McHenry, who would become political allies in the later fight for a strong national government. In 1778 Pinckney returned to South Carolina to resume command of his own regiment just as the state experienced a new threat from the British. Pinckney’s 1st South Carolina joined with other Continental and militia units from several states in a successful repulse of an invasion by a force of Loyalist militia and British regulars based in Florida. But a counterattack bogged down before the Patriots could reach St. Augustine. The American Army suffered severe logistical problems and then a disintegration of the force itself, as senior officers bickered among themselves while disease decimated the units. Only half of the American soldiers survived to return home. At the end of 1778 the British shifted their attention to the southern theater of operations. Their new strategy called for their regular troops to sweep north, while Loyalist units remained behind to serve as occupying forces. To frustrate this plan, the Continental Congress dispatched General Benjamin Lincoln to South Carolina to reorganize the army in the Southern Department. Lincoln placed Pinckney in command of one of his Continental brigades, and Pinckney participated in the unsuccessful attempt to re-take Savannah, Georgia, in October 1779, which was disastrous for the Americans, who suffered numerous casualties. In 1780, Pinckney participated in the defense of Charleston during the British siege of that town. The capture of Charleston gave the British their greatest victory. General Lincoln was forced to surrender his 5000 men on May 12, 1780, including Pinckney. Pinckney was one of the ranking officers in the prison camp on Haddrell’s Point in Charleston Harbor, the prisoners of war suffered terribly from disease and privation. There Pinckney played a key role in maintaining the troops’ loyalty to the Patriots’ cause. If I had a vein that did not beat with the love of my Country, I myself would open it. If I had a drop of blood that could flow dishonorable, I myself would let it out. Pinckney was kept in close confinement until his release in 1782 under a general exchange of prisoners. By that time the fighting had ended, but he remained on active duty until the Southern regiments were disbanded in November 1783, receiving a brevet promotion to brigadier general in recognition of his long and faithful service to the Continental Army. Pinckney returned to his law practice and plantations at the end of the Revolution, seeking to recover from serious financial losses suffered during his period of active service. He represented the citizens of the Charleston area in the lower house of the legislature until 1790. During this period he also suffered personal tragedy. Sarah Middleton Pinckney died May 8, 1784, at the age of 27, leaving Charles with three young daughters. In 1786, Pinckney remarried to Mary Stead, who came from a wealthy family of planters in Georgia. Pinckney made no secret of his concern over what he saw as a dangerous drift in national affairs. Freed of the threat of British invasion, the states appeared content to pursue their own concerns. Pinckney was one of the leaders of national vision who preached that the promises of the Revolution could never be realized unless the states banded together for their mutual political, economic and military well-being. In recognition of his leadership, South Carolina chose him to represent the state at the Constitutional Convention in Philadelphia in 1787. There he joined Washington and other national leaders he had met during the Pennsylvania campaign. Pinckney agreed with them that the nation needed a strong central government, but he also worked for a carefully designed system of checks and balances to protect the citizen from the tyranny so often encountered in Europe. Present at all the sessions, Pinckney was a very influential member. He opposed the election of representatives by popular vote and paying senators, believing they should be men of independent wealth. He also played a key role in requiring treaties to be ratified by the Senate and in the compromise that resulted in the abolition of the Atlantic slave trade. He signed the Constitution and returned to Charleston, where he worked diligently to secure South Carolina’s ratification of the new national Constitution, and in 1790 participated in a convention that drafted a new state constitution modeled on the work accomplished in Philadelphia. Retiring from politics in 1790, Pinckney devoted himself to various religious and charitable works, including the establishment of a state university, strengthening of Charleston’s library system, and the promotion of scientific agriculture. Under the new government, Pinckney became a devoted Federalist. 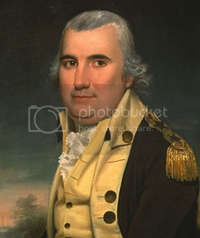 Between 1789 and 1795 he declined presidential offers to command the U.S. Army, and to serve on the Supreme Court and as Secretary of War and Secretary of State. In 1796, however, he accepted the post of ambassador to France. Pinckney’s appointment signaled the beginning of one of the new nation’s first international crises. The French revolutionary regime there refused to receive him and he was forced to proceed to the Netherlands. The next year he returned to France when he was appointed to a special mission to restore relations with that country. In the so-called XYZ Affair the leaders of the French Revolution demanded a bribe before agreeing to open negotiations about French interference with American shipping. Exploding at this affront to America’s national honor, Pinckney broke off all discussion and returned home. When Pinckney arrived back in the United States in 1798, he found the country preparing for war with France. That year, President John Adams appointed him to one of the highest posts in the new Provisional Army which Congress had voted to raise in response to the diplomatic rupture with France. As a major general, Pinckney commanded all forces south of Maryland, but his active military service abruptly ended in the summer of 1800 when the threat of war ended. Despite his earlier intention to retire, Pinckney once again became deeply involved in national and state politics. He ran for Vice President on the Federalist ticket with incumbent president John Adams in 1800. They were defeated by Democratic-Republicans Thomas Jefferson (who became president) and Aaron Burr (who became vice president). In 1804 the Federalist Party nominated Pinckney for the presidency against Jefferson, who was very popular due to the acquisition of the Louisiana Purchase. Jefferson defeated Pinckney in a landslide. In 1808 he was again the Federalist nominee, running against Jefferson’s Secretary of State James Madison, and again Pinckney was defeated. Until the end Pinckney remained a moderate Federalist, seeking to preserve a balance between state and national powers and responsibilities. He served two terms in the South Carolina senate. During the later years of his life, Pinckney enjoyed his Belmont estate and Charleston high society. From 1805 until his death, Pinckney was president-general of the Society of the Cincinnati, an organization of former officers of the War for Independence. Charles Cotesworth Pinckney died at home on August 16, 1825, at the age of 79, and was buried in St. Michael’s Churchyard in Charleston, South Carolina. • Castle Pinckney, a fort in Charleston Harbor, completed in 1797. • Pinckney Island National Wildlife Refuge on the site of the Pinckney family’s plantation.